Before introducing the world to butts gone bad, Andy Griffiths unleashed the internationally bestselling Just books. 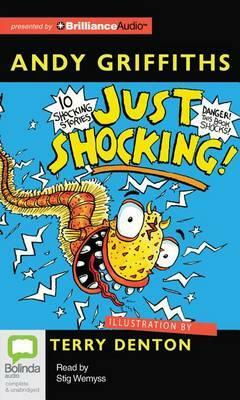 He continues to amuse, annoy, and totally ick out readers with this latest collection of shockingly funny stories. Join Andy in his quest to shock and annoy everyone around him. Brace yourself--here come The Playground of Doom, Girl Germs, and Andy the Robot. Each madcap adventure is more outrageous and hilarious than the last. You'll laugh so hard you'll lose your lunch!